This great offer starts from just £48pp. Simply click on the button below for booking information. The Alton Towers Resort comes to life in 2016 with the fantastic new Enchanted Village. This magical hideaway is located in the woodland next to the Alton Towers Hotel and offers a special short break destination for guests with luxury tree houses and enchanting lodges. 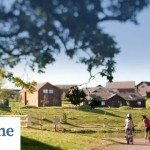 Or alternatively why not stay in either Alton Towers Splash landings hotel or their own resort hotel and with your second day free, this short break gives you enough time to truly take in all that Alton Towers has to provide. 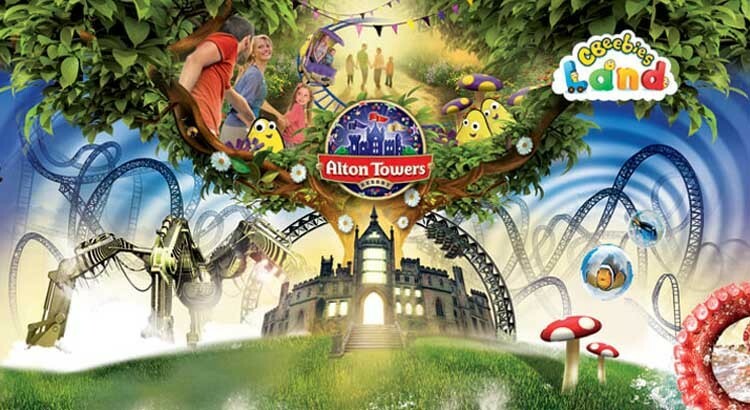 Ideal for all the family, the Alton Towers Resort also offers family attractions packed with fun for little kids. 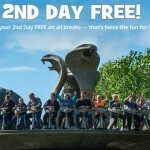 Feel safe and secure that there are loads of rides and activities to keep all ages happy, all day long and now you can enjoy the thrills even more with your second day free!! So whether you’re young or old, or part of a family, you’ll love Alton Towers Resort. Over night stay in one of Alton Towers exclusive hotels. All of our Alton Towers tickets and hotel deals come with Early Ride Time, letting you board selected rides between 9am and 10am before other guests. Entry to the resort plus your second day free. Amazing evening entertainment with an array of shows and characters to meet. 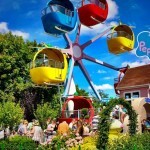 Free entry to Cbeebies Land for Under 4’s. Wake up right next to an incredible amount of things to do. You are a stone’s throw or Monorail trip away from the Theme Park, and the Waterpark, Extraordinary Golf and Spa are right on your doorstep. 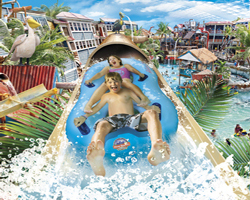 To claim this great Alton Towers Resort special offer just click on the link below for further information. 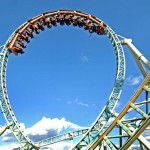 The Alton Towers Resort Theme Park has an amazing selection of family rides and attractions which will suit all ages. You can head deep underground and experience the terrifying Nemesis Sub-Terra or enter X-Sector for Oblivion and Submission.